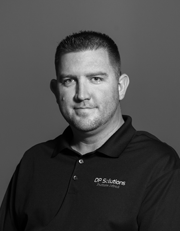 As Senior Business Solutions Advisor at DP Solutions, Gene Mobley works with you and your company to provide our world-class technology services including Managed IT Services, Managed Hosting, Backup & Disaster Recovery, and Security & Compliance. Gene is known for his innate ability to listen and understand client’s concerns and help them find the perfect solution to resolve their problems. He is driven by honesty, integrity, & perseverance. When he’s not working with his clients, you can find Gene chasing Rockfish in his fishing boat on the Chesapeake.